Explore our complete technology and outsourced services suite to see how Decision Ready is transforming the mortgage vertical. Intelligent solutions that couple the right amount of technology to make your processes more efficient, lower resource costs and facilitate easy training and deployment across multiple locations. 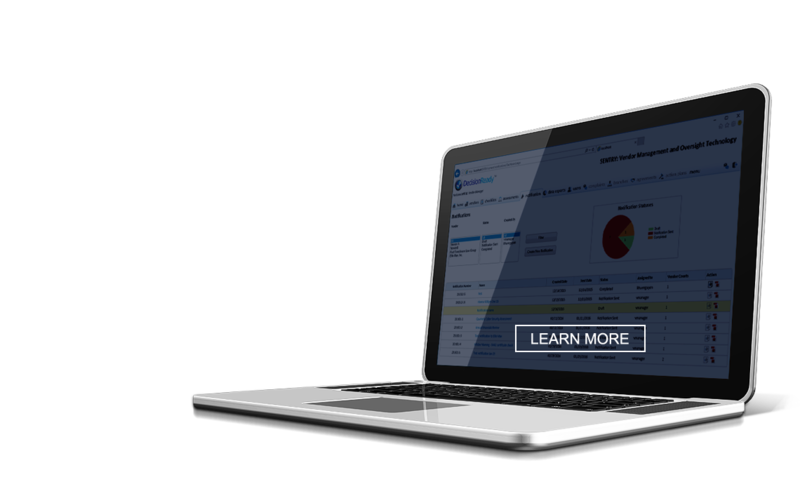 Put our workflow, robust reporting, rules engine, load balancing and checklist technology to work for you. Conduct annual reviews and audits in an automated fashion. 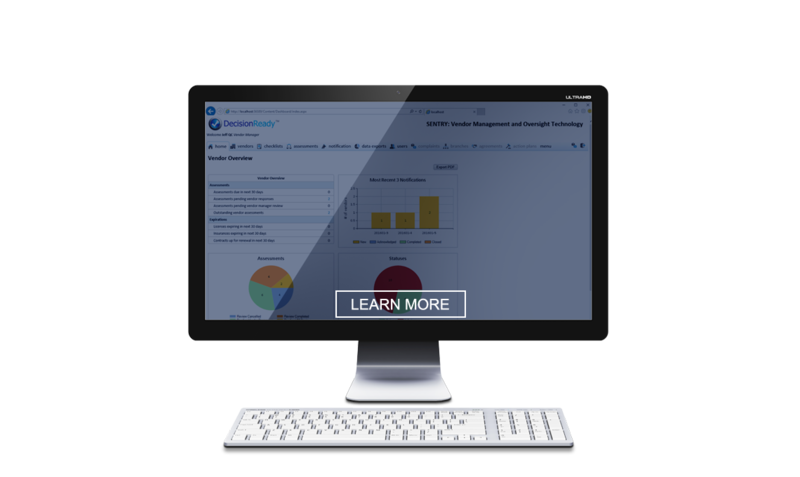 Manage a central vendor repository to track licenses, insurances and contact information. 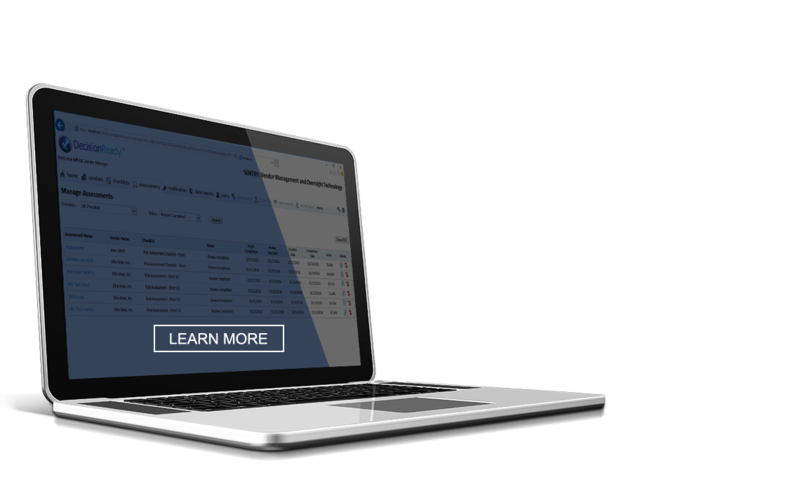 Technology inspired outsourcing to automate your FHA Claims process for curtailment calculations, managing invoices, investor submissions and loss analysis. Our Bankruptcy Case Management technology integrates the full lifecycle of the Bankruptcy from Referral to POC to Final Cure along with MFR process support. Since 2010 Decision Ready has been assisting the top mortgage banks and GSEs with risk management, process management, vendor management and quality control solutions. Decision Ready provides mortgage technology and services with a focus on Risk Management and Compliance. Founded in 2010 by seasoned financial services executives, the Company has quickly established itself as the industry leading vendor. The Company currently supports multiple financial services verticals for large banks and GSEs including Mortgage Servicing, Mortgage Default Servicing, Mortgage Loan Transfers/Boarding and Mortgage Origination. Decision Ready is transforming traditional processing by combining their deep domain knowledge coupled with strong technology capabilities. Our web-based technology suite is broad and focuses on multiple aspects of mortgage banking enterprise risk including comprehensive solutions to address investor claims management, compliance, audit, vendor management and quality control needs. Our website has detailed information on our entire product suite. Our services include claims processing (FHA, Fannie Mae and MI Claims), valuation services (BPOs and Automated Valuations), customer outreach services and outsourced default servicing for managing loss mitigation, foreclosure referrals and quality control.